My Hero Academia is a favorite manga and anime series about superheroes. The story revolves around Izuku Midoriya, a boy who was born without a Quirk. It is an unusual phenomenon, considering Quirks are universal in their world. Even though the series is Izuku’s story, there are a lot of different characters in My Hero Academia. One of them is Shoto Todokori, a student of U.A. High School and of the main protagonist of the series. Shoto is considered the most powerful student in Class 1-A and possesses the Half Cold Half Hot Quirk, which allows him to generate both ice and fire. Shoto became a student at U.A. because of official recommendations for him to train to become a Pro Hero. But because of his immense strength, combat awareness, and elite judgment, some consider him as already more potent than the average Pro Hero. 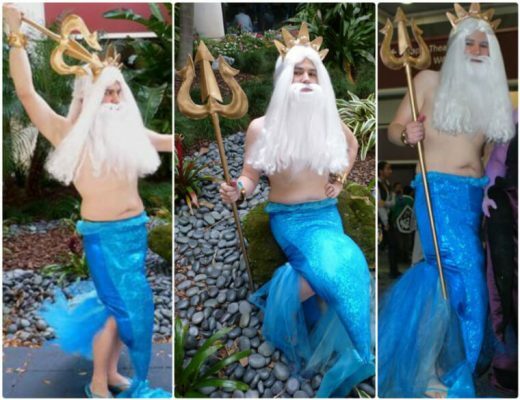 His tremendous power, as well as unusual appearance, also makes him a popular choice for people to cosplay in. Like a lot of the characters in My Hero Academia, Shoto has worn various outfits throughout the series. But two outfits that are well identified with this character. 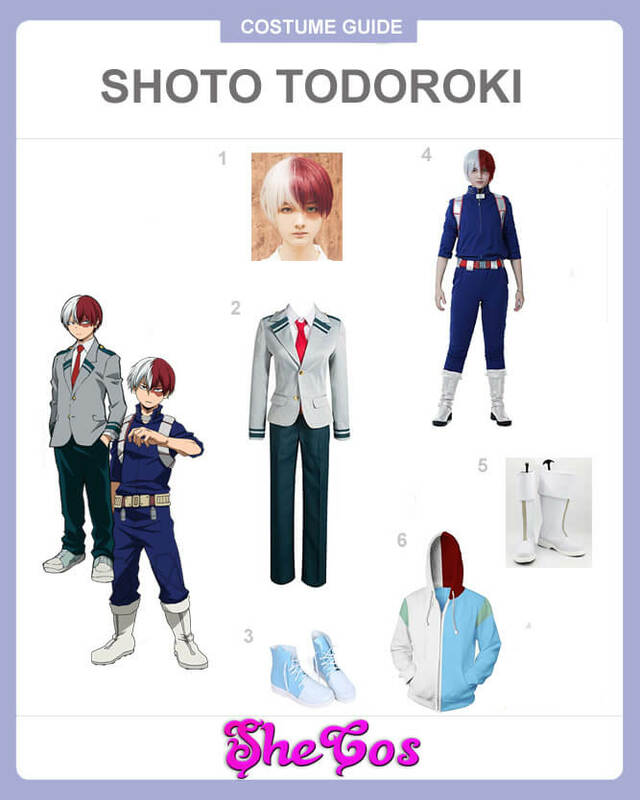 When it comes to dressing up like Shoto Todokori, his burn scar on the left eye and his hair is his most distinguished feature. That is because the right side of his hair is white while the left side is red. It represents his Half Cold Half Hot Quirk. This cosplay set will include a short half white and half red wig. It will also come with his full U.A. High School uniform, which is a light grey blazer over white long sleeves polo, red necktie, and dark green pants. This outfit includes his U.A. uniform sneakers that have the color sky blue and white. His most popular gear, though, is his battle uniform, which is a dark blue jacket with dark blue pants and a belt with metal capsules. The list comes with the My Hero Academia shoes and white uniform boots as well. The set also comes with a Shoto inspired hoodie, as the hood represents his hair while the body is the color of his sneakers. In the beginning, Shoto Todokori is a character who likes to keep to himself and shows no emotion whatsoever. He is also shown to be cold and apathetic to others due to his rough upbringing. That’s all changed after what happened at the U.A. Sports Festival. He became more sociable and occasionally started smiling. 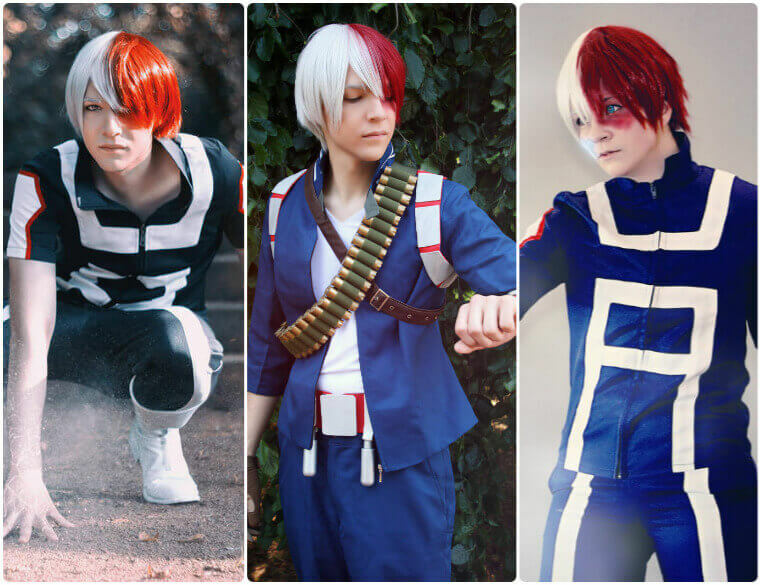 Though Shoto has worn various outfits throughout the anime and manga series of My Hero Academia, his most popular cosplay is his battle outfit. And who can blame people for choosing that? There’s nothing special with his U.A. High School uniform, considering it’s what all the student characters in the series wear. 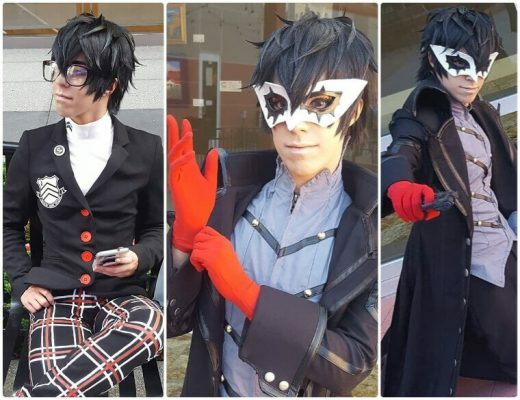 But his battle outfit is different and unique only to him. 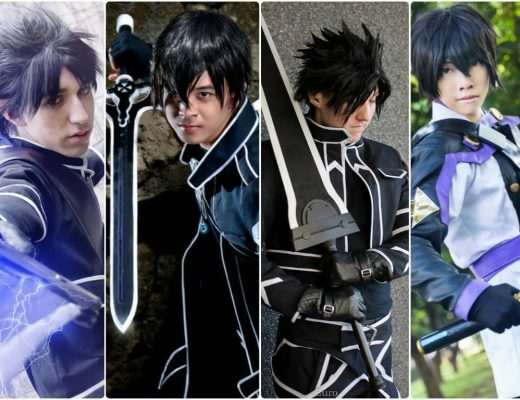 If you look at the cosplay photos, you can see how awesome it would be to dress up like Shoto wearing his battle outfit.